Packaging Size: 25/50 kg Bags or as per customers requirement. - Increased compressive and flexural strengths. - Reduced permeability (including chloride permeability). 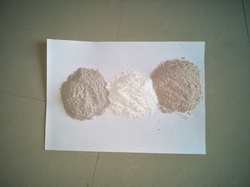 Metakaolin is a manufactured pozzolanic mineral admixture, which significantly enhances many performance characteristics of cement-based mortars, concretes and related products. - Eliminates efflorscence, Increase Flexural Strength, Reduce ASR make it an Amorphous Pozzolan. - Available in 5 Kg / 25 Kg packing option. 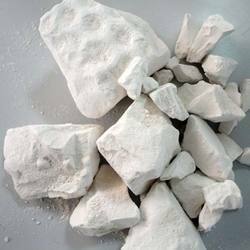 We are leading manufacturers of Metakaolin in Powder & Lumps forms available in Pink & White Appearence, based in Rajkot/Gujarat (India).